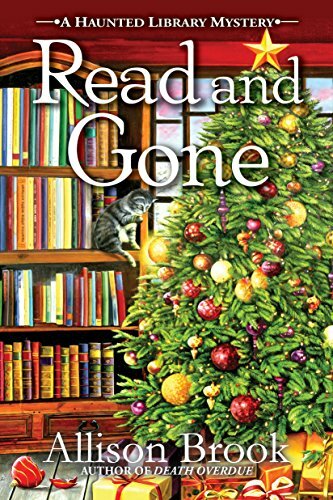 Today, I have a BOOK REVIEW for READ AND GONE, the second book in the Haunted Library mystery series as well as your chance to win a print copy! Right in time for the holidays, comes Allison Brook’s second Haunted Library mystery, a perfect present for readers of Jenn McKinlay and Leslie Meier. Twenty million dollars’ worth of missing gems bring Carrie Singleton’s long-lost and larcenous dad back into her life and it’s up to Carrie to clear his name. A devoted dad is as precious as diamonds, but Carrie Singleton wouldn’t know since her dad Jim’s been on the lam most of her life. In an unusual family reunion, she finds Jim breaking into her cottage in the middle of the night. The fun really starts when he begs her to help him recover his half of a twenty-million-dollar gem heist he pulled off with the local jeweler, Benton Parr. When she refuses, Jim takes off again. Carrie finds her father again behind bars for the recent murder of Benton Parr. Who made the connection? Unbeknownst to her, Carrie’s boyfriend Dylan, an insurance investigator, has been searching for the gems. Determined to find the jewels herself, she starts examining every facet of Parr’s life. She turns up a treasure trove of suspects, one of whom bashes her on the head as she’s searching the victim’s country cabin. Retreating to the quiet confines of the library where she works, Carrie watches as Smokey Joe, the resident cat, paws at a hole in the wall. Is he after the library’s ghost Evelyn, or something shinier? If you've been reading my blog for any length of time, then you are fully aware of the fact that I absolutely love cozy mysteries involving books. Having read and reviewed the first book in this series, which you can check out HERE, I was anticipating the growth and development that occurs as these types of stories continue. Once again, there is just a hint of the paranormal, which works fittingly as a way to ease into the Halloween spirit as well as the overall holiday mood in general with the community gearing up for Christmas festivities. Evelyn, the ghost, acts largely as a mentor to Carrie rather than a haunting presence in the library, imparting incredible wisdom and advice. Though I would have enjoyed seeing her play a larger role, I greatly appreciated her ability to guide and mentor Carrie in not just Carrie's job, but in her personal relationships as well. While this can definitely be read as a standalone, the pacing greatly improved as there was a much better balance between description and action. Everyday minutiae added context instead of what often felt like filler when reading the first book. Carrie has much more motivation to get involved in this investigation and it provided ample opportunities for her spunkiness to shine! With multiple mysteries to solve and a shady cast of secondary characters, this installment continues to showcase the upbeat and lighthearted nature of cozies. Even with an insightful ghost lurking around, very few clues are made available within this multilayered and well plotted mystery. I was also pleasantly surprised by the discussions the story encourages regarding family dynamics. While I hope that the series embraces more of the paranormal as it goes on, I will continue to return to Clover Ridge to find out what shenanigans Carrie has gotten herself into this time around as well as the interesting programs she designs for the library. 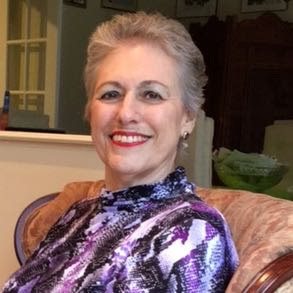 Allison Brook is the pseudonym for Marilyn Levinson, who writes mysteries, romantic suspense, and novels for kids. She lives on Long Island and enjoys traveling, reading, watching foreign films, doing Sudoku and dining out. She especially loves to visit with her grandchildren on FaceTime. 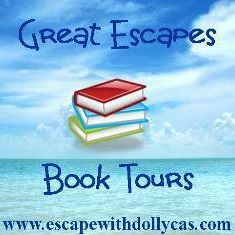 Many thanks to Great Escapes Book Tours and Allison Brook! It was an absolute pleasure hosting, reading, and reviewing! And be sure to check out the other stops on the BLOG TOUR for more opinions and author extras!